Why exhibit at Fine Art Asia in Hong Kong? Since its inception in 2006, Fine Art Asia has become recognised as Asia’s leading international fine art fair. It is the only fair in Asia to showcase art and antiques from both Asia and the West. Fine Art Asia hosts leading Hong Kong and international galleries, and in 2018 the fair attracted 25,000 quality visitors from all over the world. Hong Kong is the established hub of art business in Asia. As well as being the gateway to China, one of the world’s most dynamic markets for art and antiques, it is easily accessible to collectors and dealers from Japan, Taiwan and Southeast Asia as well as from around the world. Hong Kong is a free port, making it easy to import and export artworks without restrictions. There is no sales tax on art. Hong Kong’s financial, business and legal activities, along with all forms of logistics, are world-class and highly efficient. Over the past decade Hong Kong has developed a pivotal role in the global art market, and now hosts premier international art fairs and galleries. Hong Kong is now one of the three most important art auction centres in the world, along with New York and London. The rapidly growing economy and cultural development of China and other Asian countries has led to a rising number of knowledgeable and affluent new art collectors in Asia. Fine Art Asia provides an ideal platform for international galleries to access the Asian market. Fine Art Asia is held during the peak October art season in Hong Kong and is timed to coincide with Sotheby’s autumn auctions. 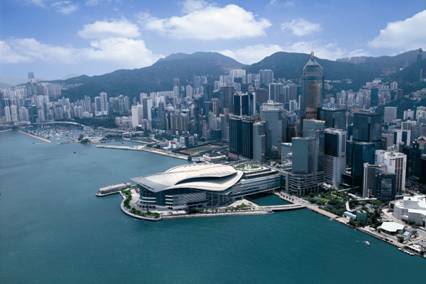 Both events are staged in the Hong Kong Convention and Exhibition Centre, a world-class, downtown conference centre. Fine Art Asia is a home-grown fair founded by Hong Kong art experts and benefits from the organiser’s local knowledge and expertise. Important relationships and alliances with major Asian collectors, dealers and connoisseurs have been forged over many years. Fine Art Asia is presented in a sophisticated and classically elegant layout with comfortable refreshment areas and a lively programme of academic lectures and events.